Former International Olympic Committee director-general Francois Carrard has been appointed head of the Fifa reform taskforce. The Swiss lawyer will lead a 12-person panel in a review of football's scandal-hit world governing body. 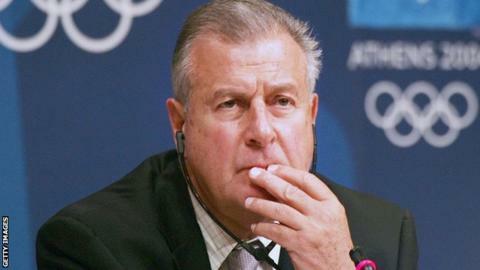 Carrard was head of the IOC from 1989 to 2003. "It is vital for the future of global football to restore the integrity and reputation of its governing body," said the 77-year-old. "As the independent chairman, I am committed to delivering the necessary package of credible reforms, working with representatives from within football and wider society." Fifa president Sepp Blatter announced he would stand down in June - just four days after being re-elected president. His resignation followed the arrest of seven Fifa officials as part of a United States investigation that led to 14 people being indicted on corruption charges. Kelly Currie, who is leading the criminal case, warned against "superficial changes" at Fifa. The acting US Attorney for the Eastern District of New York said she is monitoring how reforms are adopted and hopes they will be "deep". "Superficial changes at Fifa to its statues will not be sufficient and, likewise, mere changes of personnel in certain positions without a genuine commitment to good- overnance will not be sufficient," she said. Blatter welcomed the appointment of Carrard, saying: "We are confident that he can help Fifa to strengthen its governance structures in a credible and meaningful way." Carrard leads a team of officials picked by Fifa's six continental confederations, with Uefa general secretary Gianni Infantino one of two representatives from European football's governing body. "All of the confederations have picked their representatives based on their knowledge of football and governance matters, and we will now all work together for the greater good of the game," Uefa president Michel Platini said. Recommendations from the panel are set to be presented at the next meeting of Fifa's executive committee in Zurich on 24 and 25 September.